The late Robin Williams said that "Spring is nature's way of saying, Let's Party! ", and no party is complete without friends—old and new. As a commercial real estate advisor, inviting your existing network to do business with you, and finding new people to work with is imperative to building and maintaining a successful business. It's in that spirit that we are excited to tell you about what our product and engineering teams have been planning up these past couple of months. 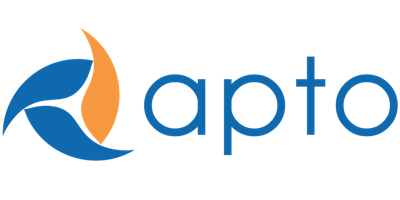 Most Apto users use Apto as their personal property database. They may not track every property in their market, but they certainly track the ones they care about (read: the ones they have a shot at winning a deal). Regardless of the level of effort you put into building a personal property database, the effort you put into cataloging important property details can have long term residual benefits. Simply put; enter it once, enter it right, and reap the benefits later on. One such benefit is the ability to create a presentation quality property website with the all-new Apto Property Sites. Take all your effort in cataloging property and listing details and convert them into ready to view property websites. To learn more and start leveraging the power of Apto Property Sites today, visit our help article. Are you tired of unqualified leads that come from the host of listing sites out there? Don't get us wrong, the exposure is welcome to generate new leads, but any listing agent knows that their best prospects are generated by their direct network (and their extended network). With Apto Property Sites you not only control the audience who sees the site, but you also enable those who visit the site to register their interest in seconds. Better still, those prospects are sent right to your Apto account for personalized outreach. Too many times have I heard the story about the one "tech savvy" broker or the transaction coordinator that gets tasked with exporting contacts from the CRM and importing them into Mailchimp to send a new email campaign. If you're that person you know the steps involved, and moreover, you know how inefficient this is. There's got to be a better way, right? Enough with the rhetoric, here's the point: there is a better way and it's with the all new Apto Mailchimp Integration! Now you can keep one centralized database, Apto, and send Mailchimp campaigns to those contacts without leaving. No more exporting from one database just to create another duplicate database. Enter them once, segment, and send. Learn about how to put this to use with our help article. ...Happy Spring, Apto users. Party on.